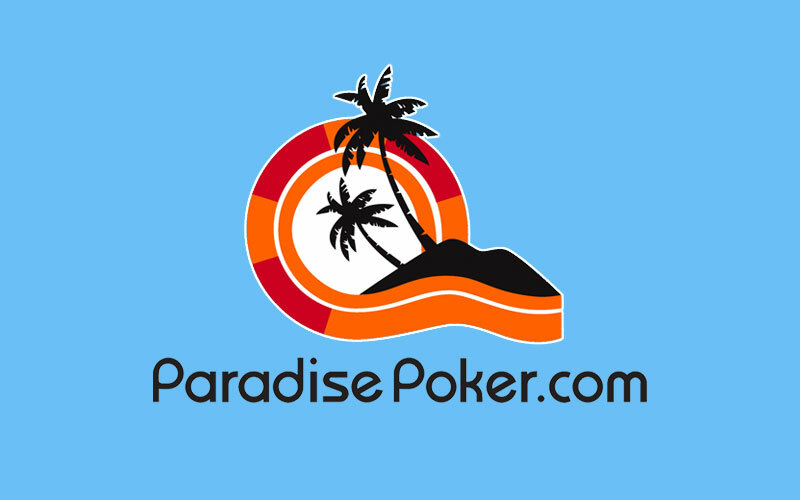 Paradise Poker is one of the oldest online poker rooms still in operation, dating back to 1999. They are now owned by Sportingbet, a large European online sportsbook. They offer new players a 100% up to €1,000 first deposit bonus and do NOT accept US players. Paradise Poker offers a 100% up to €1,000 poker bonus and is currently ranked #13 out of 28 reviewed poker rooms with an overall score of 75.76. 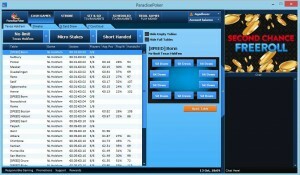 Visit Sportingbet.com for more details and to download the official Paradise Poker software. The €1,000 bonus is only offered for new players making their first real money deposit. 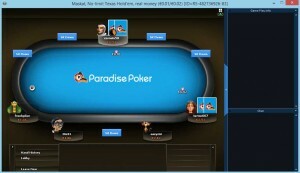 To get started, you can use our links to visit Paradise Poker and signup. Using our links helps support the website at no extra cost to you. Once you’ve created an account and installed the software, there are two things you need to do before you can deposit for the bonus. Once that is done, you can now click on Deposit and choose the most convenient method. Any amount you deposit will be matched, up to €1,000. The bonus is cleared by earning points. Players earn 3.6 points per €1 in rake or tournament fees paid. The bonus is released in €20 increments each time 200 points are collected. This means players must collect a total of 10,000 points for the full €1,000. Earning €1 of the bonus takes 10 points, and collecting 10 points costs €2.78, which sets the value of the bonus at 36% rakeback. The bonus must be cleared within 60 days. Any unearned amount left after 60 days can no longer be earned. A total of €2,777.78 in rake must be generated, or €46.30 rake per day for pace. If you prefer to track points, 166.67 points per day is pace. Paradise Poker’s VIP program is called Player Rewards and within players can convert points for cash based on their VIP level. Earn more points per month and the conversion rate increases. If you earn the bonus at pace, this would place you in the VIP 4 tier, which has a flat conversion rate of 16% cashback. This makes setting the VIP value easy – 16%. Add in the bonus value of 36% for an overall value of 52% rakeback. If you’re looking to play now, you can visit Paradise Poker now and start earning your $1,000 deposit bonus! Looking to get started? Signup at Paradise Poker through Bonus Ace by using the link above. New players can receive the 100% up to €1,000 opening bonus offered, described in this review.